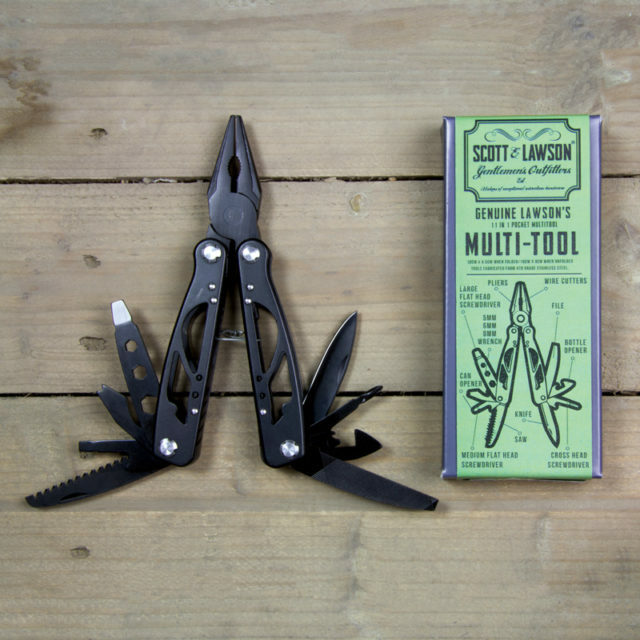 This durable multi-tool contains eleven gadgets in one. 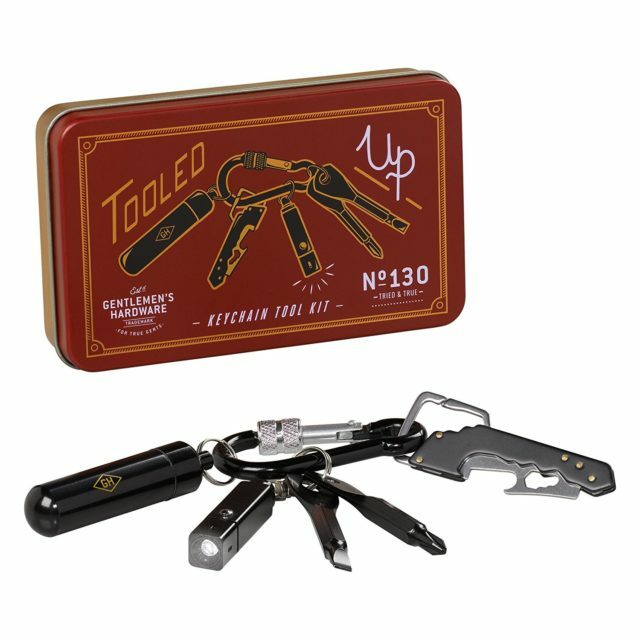 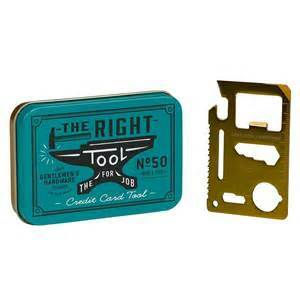 Made from 420 grade stainless steel, the tools comprise: pliers, wire cutters, a file, a bottle opener, a cross head screwdriver, a knife, a saw, a medium flat head screwdriver, a can opener, a 5mm/6mm/8mm wrench and a large flat head screwdriver. 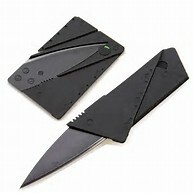 Size: 10 x 4.5 cms when folded/16 x 9 cms when unfolded.